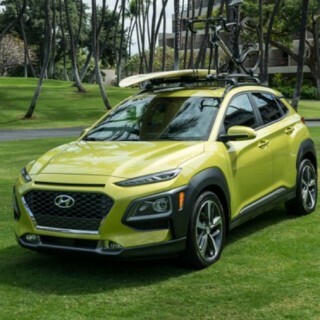 New Hyundai Kona (2019 model year) comes with optional AWD system! There can be little argument that the sub-compact SUV segment has been booming lately. There is a reason why this market is so popular, and it all has to do with the practicality of these small crossover vehicles. 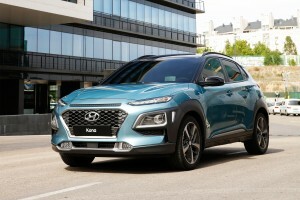 Vehicles, such as the new Hyundai Kona, are roomier than small sedans and hatchbacks and put the driver in a raised position that gives them an excellent view of the road. They are rugged enough for rough terrain, but also great for everyday driving tasks. Some even offer all-wheel-drive! This new funky-looking Hyundai SUV checks off all of these boxes, but the question that many prospective buyers have is this: does the Kona come with AWD? The all-wheel-drive system on the Kona is not standard, though, but rather optional. Which Kona trims offer all-wheel-drive? The 2019 Kona pricing list reveals that there are 4 different trim levels available in the U.S. market. Those are the base SE, SEL, Limited and range-topping Ultimate. All four offer standard fron-wheel-drive, but the good thing is that all four trim can also get the all-wheel-drive system. The cost to get the Kona with AWD system is not that big. You can expect to pay around $2000 more for the model with all-wheel-drive. What are the main benefits of AWD? The all-wheel-drive option on a small SUV is one that is going to appeal to weekend warriors who want a vehicle that they can drive every day, but which they can also take out on terrain that is a little less forgiving. It’s also great for drivers who live in locations where regular adverse weather conditions can make driving on city streets a little more hazardous. With AWD in a 2019 Hyundai Kona, you get a level of traction that is not available on FWD vehicles, especially in the conditions we mentioned earlier.